Unless you’re a brand everyone has heard of, chances are you’re using social media to engage with and learn about your fans and potential customers. Contests and promotions remain a fun way for people to interact with their favorite businesses. After all, who doesn’t love winning a prize? Yes, I could go buy myself a new t-shirt but if I win one (even if it has a brand’s logo on it), it’s much cooler! However, contests and promotions are the most powerful if you actually do something with the data you collect. We understand: Sometimes it can be hard to see the bigger picture and know exactly what your next move is going to be — especially if you have a small-ish marketing team (like just you, perhaps?!). That’s why today we’re going to provide you with 9 ways that you can leverage the data you collect from your fans. This is by far the most common and successful strategy we see. First off, our research has shown that 94.7% of brands use their promotion forms to collect an email address. It’s not hard to see why that number is so high: A study done by McKinsey & Company found that email is nearly 40 times better than Facebook and Twitter at acquiring customers. People are on social media to be social (duh! ), and most people don’t want to be overtly marketed to. However, most people are also more than willing to provide their email address for a chance to win something. The takeaway — don’t rush the sale on social or via email. Use your promotion or contest to collect an email address, and maybe even some additional information, like a birthday or a zip code — whatever is the most valuable to you. From there, craft a strategic email marketing campaign that’ll keep you in communication with your fans even when you’re not on social media. One of the best examples we’ve seen of a company that kept the conversation going through the data they collected is Great Lakes, an educational loan servicing company. Great Lakes used a Facebook giveaway to help their customers learn more about student loan borrowing. The Great Lakes promotion featured a quiz with five questions relating to student loans. 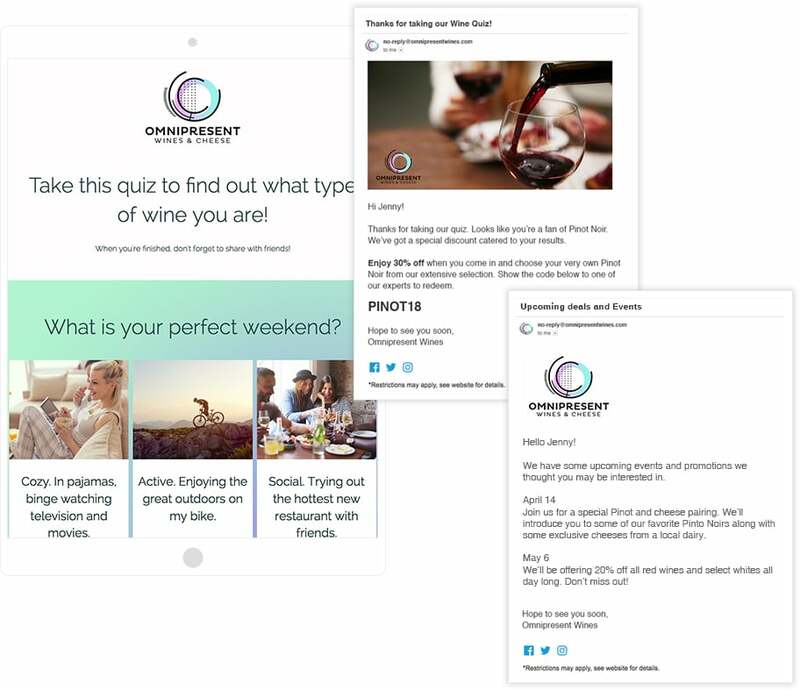 Fans were not required to take the quiz in order to enter the promotion, but the educational questions, combined with the fact that everyone loves a quiz, attracted their clients to participate. While Great Lakes’ grand prize was a $6,000 payment towards a student loan, the company closely monitored quiz answers and used the information to craft social media and email marketing messages to send to their clients. They were even able to provide resources to help address the questions they were seeing during the time the quiz ran. Hundreds of fans Liked, Commented and Shared the sweepstakes and were exposed to the additional resources and tips Great Lakes was posting on their Timeline. Compared to a year before, the percentage of fans who had a direct conversation with Great Lakes on Facebook tripled. Sometimes the most powerful data you can collect is knowledge. Getting creative with your promotions and contests can lead to invaluable conversations with your audience. Using ShortStack features like scheduled emails and follow-up emails makes it really easy to stay in touch on a regular basis. 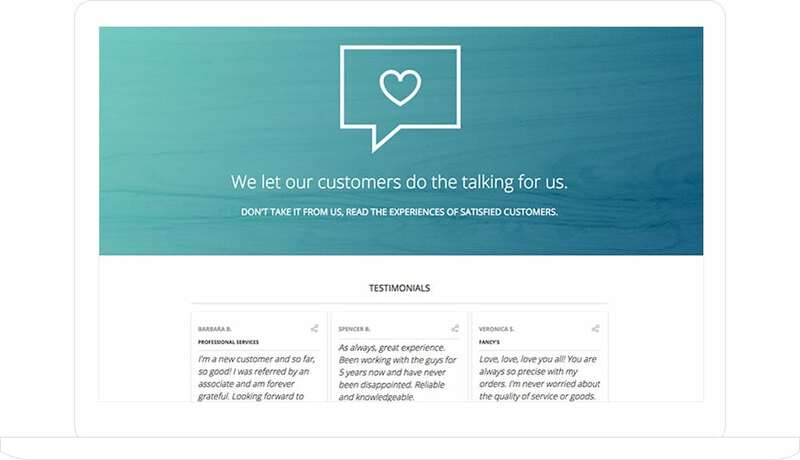 Reviews and feedback can help draw more customers to your business, more eyes to your website and more money in your pocket. With the number of review sites out there, most people understand the importance of a review and are more than willing to share their opinion. If you’re one of the 94.7% of people who are collecting an email address from your followers, use one of your emails to ask your customers for some feedback or to review your brand/product. If you know you plan on eventually asking for reviews/feedback, like this software company recently did, it may be worth it to add some additional form fields such as whether they’re an existing or new customer, how long they’ve been a customer, etc. This will help better analyze the feedback you receive. If you’re asking for testimonials, make sure you ask for permission to feature the testimonial on your website/blog/social networks. Even though email marketing is still a successful communication tactic, pretty much everyone gets more emails every day than they can answer. Marketers need to find a way to stand out in the crowd. Exclusivity is a great way to incentivize people to share information with you, and to get a little more out of your fans than you previously would have. Let’s say you’re a beauty salon and you run a promotion where you ask fans to provide their email address for a chance to win a beauty package. But then you include a link that suggests they subscribe to your email list, which one sounds better? Obviously a free gift is much more enticing than simply subscribing. Exclusivity instills excitement for your product, and excitement for your product builds brand loyalty. Loyal fans means loyal customers! More than 93% of Americans use coupons. This means that those price-conscious shoppers are more likely to hit up your business if they’re offered a little discount of some sort. If you’re wondering what types of coupons make online shoppers swoon, research has shown how deals offering a specific dollar amount off of a purchase rank most favorably. On the other hand, free shipping is not appealing to all consumers, so try to come up with something a little more valuable if you sense your customers don’t care so much about shipping costs. As marketers, it’s hard to not think about the sale. Ultimately, every business’s goal is to get a sale! However, the path taken to get to a sale has vastly changed. As I’ve previously mentioned, people on social don’t want to be sold to, and marketers are fighting to stand out in the social, email, and online crowds. Sometimes, the most successful path you can take to the sale is an educational one. For example, offering guides with “how to” tips or similar information that helps people use your product better. You can also educate using infographics or even blog posts you send via email on a scheduled basis. Depending on your business, there’s a chance that your customers don’t need your product on a daily basis. This means that when it is time for them to need you, you want to be top of mind. This is where educational marketing really steps in. Positioning yourself as an expert in your field and continuing to educate your fans and followers without selling to them will mean once it’s time for them to need your product, they’ll think of you first. You can use any additional data you collect from your fans to fine-tune your educational materials. Crowdsourcing is another top way we see businesses using ShortStack.com. That’s because social media provides you with access to a widespread audience, so why not take advantage of that? If you’ve been wanting to add some new products to your lineup, a social marketing campaign can be the perfect place to start. Ask your fans what they’d like to see you offer next. If you’ve already narrowed down what you plan to add to your lineup, ask them to vote on their favorite(s). Don’t have plans or hopes of adding a new project? That’s okay, you should still be closely listening to your fans when you run promotions. Their answers could even spark an idea for a new product. Data-driven advertising is perhaps the most personal and successful form of advertising available to marketers. Your customers expect a tailored message delivered to them that peaks their interest and doesn’t waste their time. As a matter of fact, there’s a lot of pressure on marketers to deliver a seamless and relevant experience to their customers. Fortunately, social networks and online advertising outlets have made it convenient to target advertising as long as businesses are collecting the right data. Our favorite way to target people is by using Facebook ads. Facebook ads are cost effective, and we believe the targeting options are the most accurate of any advertising option. Using a marketing campaign and Facebook ads you can target via email address, interests, hobbies, job function, actions taken, website retargeting, and pretty much anything else you can think of. So the next time you build your marketing campaign, consider which data you can collect to help you run some valuable ads. Perhaps one of the most valuable ways to use your data is for analyzing and learning purposes. Look at your lead data through an analytical lens. These are the direct results of your Campaign. The number and the quality of the responses is a good indicator of success. This information can also help drive the decisions and goals for your next Campaign. Didn’t get the responses you wanted? Try changing the language on your form, or asking questions in a different way (such as using checkboxes instead of a dropdown menu).